This site is designed to inform and promote the safe use of baby, nursery and childcare products to consumers and the industry in general. The Baby Products Association has opened its' 2010 Concept & Innovation award programme that encourages product innovation within the nursery sector. For the finalists over the past seven years, it has proven to be a key channel for promoting and even launching their new products. Last year, the award was presented to Claire Mitchell from Chillipeeps at BPA Baby & Child. 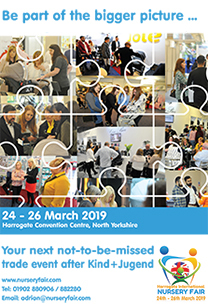 Chillipeeps exhibited their winning idea on the BPA Concept and Innovation stand, along with four other finalists, for the duration of the trade event. The winner received such a positive reception from the industry that the unique feeding device is now in production and soon to be launched in the UK and international markets. This is a shining example of the Association’s endeavour to bring new innovative ideas to the attention of the industry. 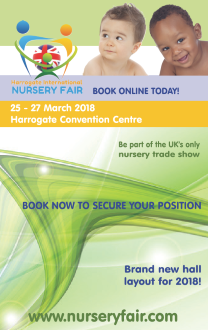 The Baby Products Association invites everyone with a nursery product that is unique, in concept or application, to enter the award programme. Whether you are a student with a new concept that will challenge the boundaries of technology and design or an entrepreneur with a new product that will fill a gap in the market, entering the BPA Concept & Innovation awards will provide you with an ideal platform to launch your product. Under the umbrella of BPA Concept & Innovation, there are now two additional awards; the BPA Concept Award, acknowledging unique designs still in their early visionary phase and the BPA Innovation Award, acknowledging unique products developed to a potential production stage. This is an incredible opportunity for you to showcase your product design at BPA Baby & Child 2010 and the experience alone is considered a worthy prize! The chosen finalists will be given the fantastic opportunity to showcase their designs at Baby Show for Trade in conjunction with the BPA which will be held in October 2010. For further information about these awards, please contact Julie James on 0845 456 9570 or Julie@b-p-a.org. The closing date for all entries is Friday 2nd July 2010.